We need to eat more whole grains. A diet centered on white flour and refined carbohydrates isn't good for our bodies or our waistlines. Beyond whole wheat are the healthiest "ancient" grains, including teff, buckwheat, and quinoa. These grains are free of gluten and additives, but can they--and flours such as 100 percent whole wheat, barley, and spelt--be used to make delicious desserts? The answer is a resounding YES, thanks to The Sweet Side of Ancient Grains . 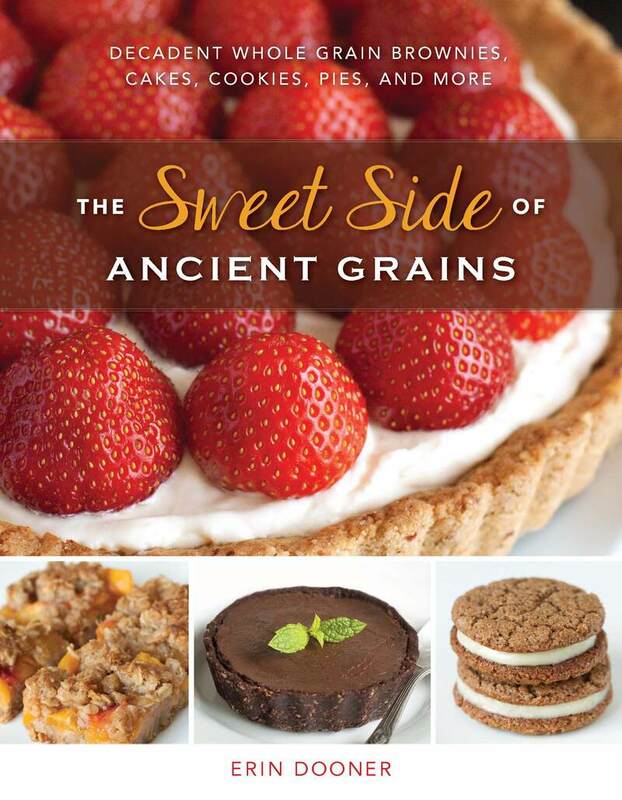 With recipes made from both ancient grains and more familiar 100 percent whole grains, Erin Dooner has created a must-have cookbook for anyone who wants to eat healthy but is "blessed" with a sweet tooth. Don't have access to certain ancient grains? All but a handful of the recipes can be made with traditional or white whole wheat flours! Unlike previous efforts at whole-grain dessert baking, this book relies on 100 percent whole and ancient grains and incorporates natural sugars wherever possible--all without compromising on results. Erin Dooner, the writer and photographer behind Texanerin Baking, began her blog in 2011 as a way to share her healthier whole grain dessert recipes. Since then, her work has been featured on the Huffington Post and Gourmet Live and in Glamour, Cosmopolitan, Parade, and other online and print publications. Originally from Plano, Texas, Erin currently lives in Berlin, Germany.